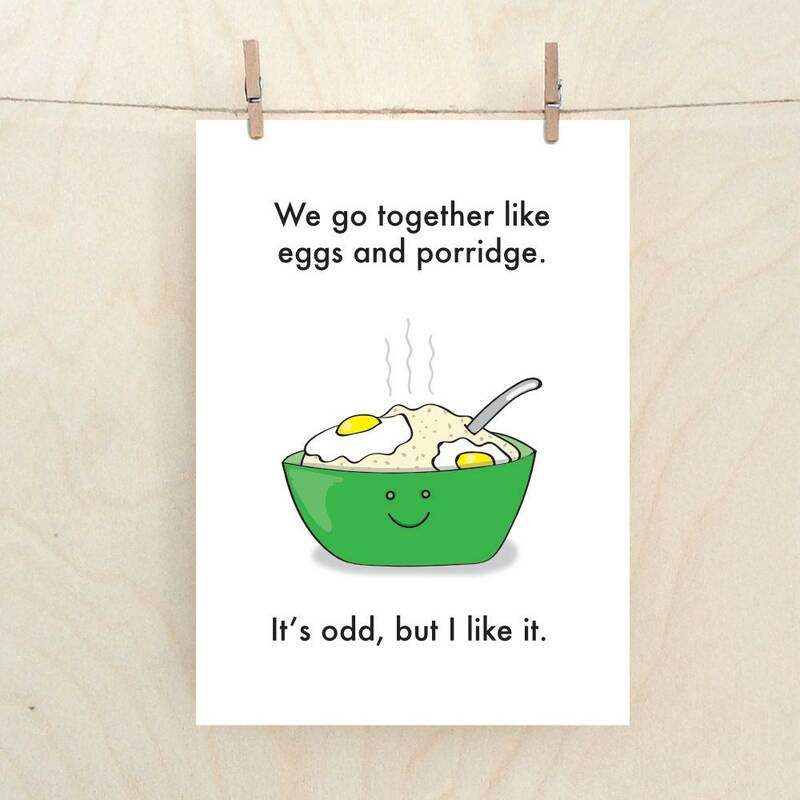 I mean, who really goes together like bacon and eggs, and what does that even mean. We are so compatible that some one could eat us for breakfast. Any way. even when a couple do go together like Eggs and Bacon, no one likes them, in fact they just make everyone sick. It's much better to be surprised on a daily basis that you could be with this person even though they are clearly Porridge and you are bacon and that is just bloody great.